Cold Weather Tyres - Wiseman Motor Services Ltd.
Once you have experienced the benifits of cold weather tyres you will never want to drive without them! If you are worried about driving in this, then you need to think about your tyres. 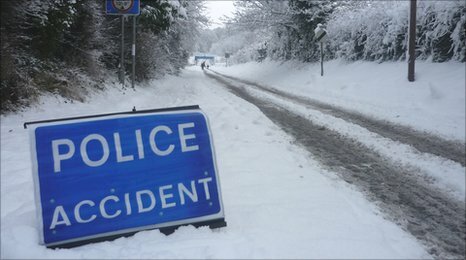 A set of cold weather tyres gives you the confidence to make that journey. The following videos show, that the results speak for themselves. Wintergrip can supply tyres from all the major manufacturers. We are main agents for Nokian, Vredestein and Pirelli tyres. 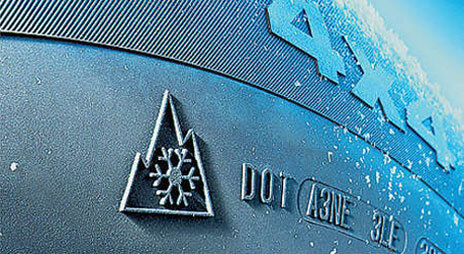 All cold weather tyres carry this marking to indicate the are designed for severe snow and cold weather.